Flue Steam provides the expert swamp cooler service Woodland Hills CA you need to keep your kitchen air circulating properly. 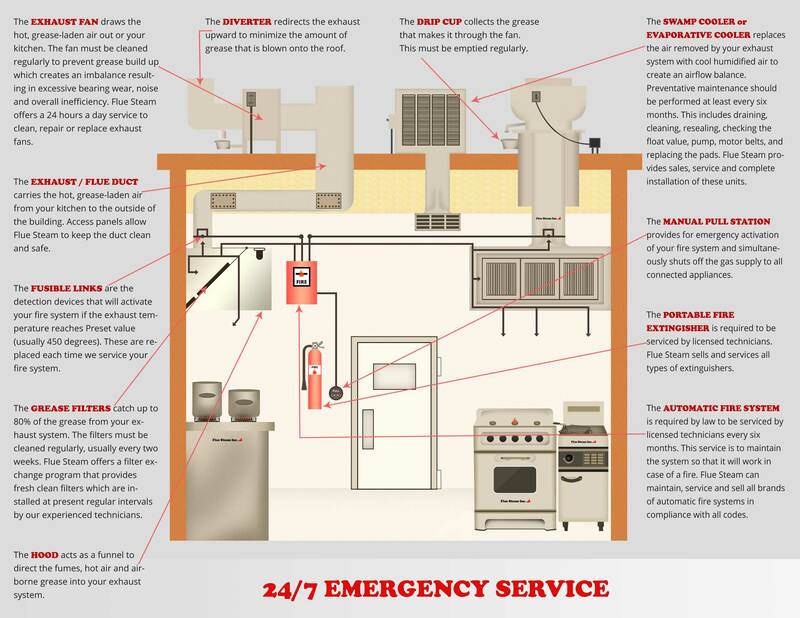 When it comes to your kitchen air control system, making sure hot air exits the area is very important. 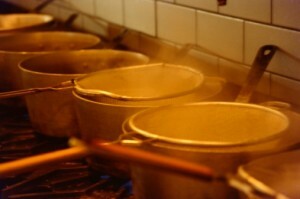 However, making sure cool, fresh air enters the kitchen is every bit as vital. Hence the need for a swamp cooler. It is the swamp cooler’s job to replace the hot air leaving the kitchen with fresh, cool air. With swamp cooler service Woodland Hills CA from the experts at Flue Steam, you can make sure your swamp cooler is operating at peak efficiency and doing its job properly. Do You Need Swamp Cooler Service Woodland Hills CA? Swamp cooler service isn’t all that we do at Flue Steam. We also offer other services like exhaust system cleaning and fire prevention services for your safety and convenience. Because you can schedule your semi-annual swamp cooler service and an exhaust system cleaning from us at the same time, you can avoid the hassles of working with two separate contractors and arranging two separate appointments. An additional benefit of working with us is that we always inspect the exhaust fan during a steam cleaning. So if you have us provide a cleaning and swamp cooler service, you’ll know that both the intake and the outflow parts of your system are working properly.